We know that your baby is the twinkle of your eye and the brightest star in the sky. 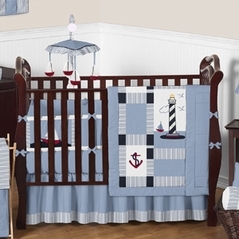 That is why these celestial crib bedding sets make for a wonderful theme for any nursery. 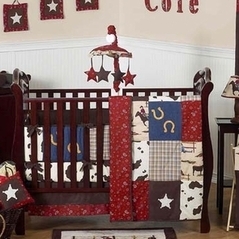 An excellent and timeless choice style for both boys and girls, celestial crib bedding is gaining in popularity and is beginning to rival our popular line of Fire Truck Baby Bedding and even our Toile Baby Bedding. Celestial Crib Bedding evokes feelings of wonder and even magical adventures and consists of luxurious chenille and wonderful cotton fabrics. Have you thought of glow-in-the dark stars on the ceiling? 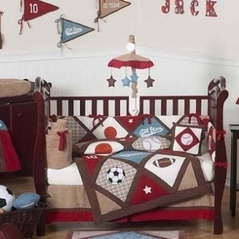 How about a fascinating mobile to go along with your Moon crib bedding? 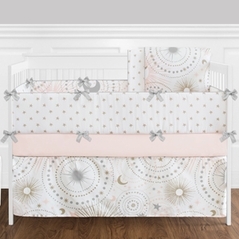 And just imagine sitting with baby and reading Goodnight Moon while wrapped in the warm comfort of a moon baby bedding set- what could be more perfect? 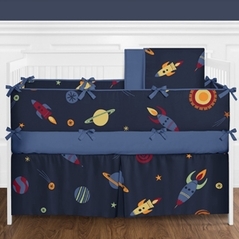 So whether you have a boy or girl, you simply can't go wrong with our celestial crib bedding sets! Also make sure you check out our striking Asian crib bedding sets and the Fairy Nursery Bedding theme. All of our quality sets are manufactured by quality brands such as Sweet Jojo Designs where workmanship never takes a backseat.